A great series on Netflix for you BF 42 homos is the Age of Tanks. Very well done and makes you appreciate those that came before us to defend our freedom. Oh cool! A show all about meee!!!! BTW CA1 Get in game!!!! we have a pretty good size group of players right now. 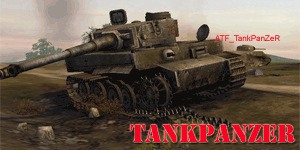 Thanks CA1, gonna check out the TankPanZer show! Thanks CA1! Gonna definitely check it out. Do you know who is producing the show?